Book title: Empower Your Life, Now! “Empower Your Life, Now” is a self help book. It aims at educating young people and help them in making a successful career. It is also for those who have already chosen a particular profession and are keen to improve their present status. The author has presented various ways of empowering the life of young minds a simple and straight forward manner. The book suggests techniques, strategies, tips and lays down guidelines to empower oneself in all the spheres of life. It sets the stage to build up inner strengths and use that platform to succeed at the workplace. 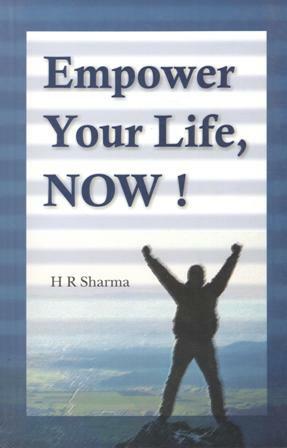 “Empower Your Life, Now” will help you to:- •	Shape and build your inner strengths, stay motivated, confident and improve on your skills/abilities. •	Inculcate human values of kindness, gratitude, contentment, and many more. •	Have a sense of personal competence and believe in yourself. •	Get rid of limiting beliefs, conquer procrastination, know when to let go, and step out of your comfort zone. •	Achieve excellence at the workplace, make great first impressions and establish rapport with the people you work with. •	Always maintain work-life balance and be happy.